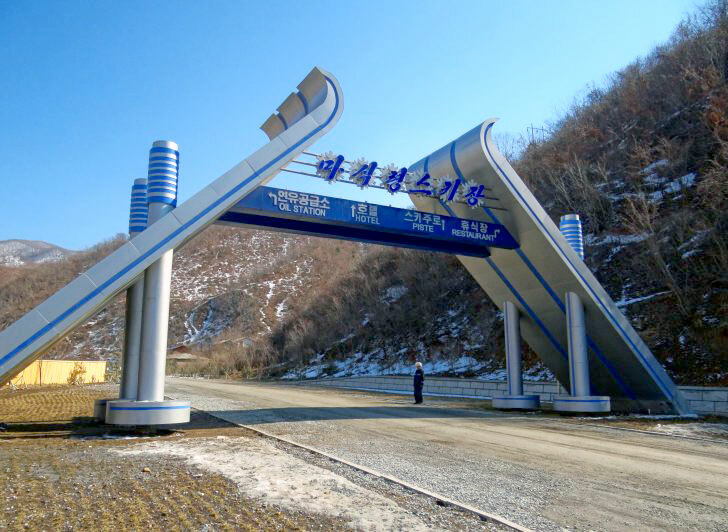 Baby-faced supreme leader, Kim Jong-un, built a luxury ski resort on Taehwa Peak, a 4,460′ mountain in Kangwon Province. It was constructed in 10 months by the Korean People’s Army. The cost is estimated at US $ 35+ million. It has nine blue and green runs, a ski school and a children’s snow park. The resort includes a 120-room hotel with pool, restaurants, and ice rink. Finally, the resort opened with a 30-year-old Austrian-made gondola, retired from Ischgl. It was supplied by China. Kim Jong-un is reported to have skied in Switzerland while attending boarding school there.